He has served as an expert/consultant for the European Commission (DG CNECT, DG RTD, DG REGIO), Governments (Ireland, Greece), the European ICT Association (DIGITAL EUROPE), the Trans-European Research and Education Networking Association (TERENA) and various telecom companies and VCs. He has served in the Board of the Central and Eastern European Networking Association (CEENet) and the Alexander Innovation Zone of Thessaloniki (AIZ) and was a founding member of the eInfrastructures Reflection Group (eIRG). He has also served as the Greek National Expert on Research Infrastructures for FP6, at the Computing and Data Treatment Group of ESFRI and at the Scientific Technology Options Assessment Group of the European Parliament. 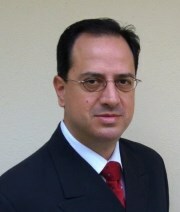 He is also a founding member of three highly-specialised clusters in knowledge-intensive thematic sectors with a strong exports-orientation in Greece: mi-Cluster (nano/microelectronics-based systems and applications), si-Cluster (space technologies and applications) and gi-Cluster (innovative gaming technologies and creative content) and currently a member of the Steering Board of mi-Cluster and si-Cluster and acting cluster manager for the si-Cluster. Jorge is also co-founder and director of two Business Innovation Centres/Incubators: the Athens InnoHub Sorou and the Patras InnoHub, a member of the Steering Board of the Accelerator egg-enter.go.grow and member of the Steering Committee of the students’ exchange program EduTrip. He is a member of the Advisory Board of the European Clusters Observatory, a European Cluster Benchmarking Expert of the European Secretariat for Cluster Analysis, a Member of the European Cluster Managers' Club, National Representative at the European Clusters Alliance and coordinator of the European eInfrastructures Observatory.